Work and life has been nuts lately, and yesterday was even more insane. So here is my TTTT post...just a tad late. Today I am focusing on staying fit when on vacation. 2012 has been a year of traveling for me. With traveling comes more eating (I mean, you are on vacation...right? ), so to counter all of those extra calories I like to get a workout in every now and then while on the trip. 1. 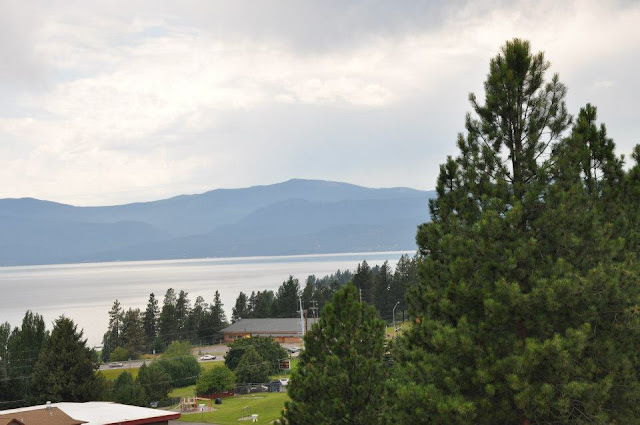 Go running/walking- This is a great way to not only get your heart pumping but also to site-see While in Montana, I loved running a gazing at the gorgeous views. 2. Visit a local fitness studio/local gym-lots of studios and gyms offer day passes or drop in fees. I have done CrossFit in Tulsa and in Texas as drop in. It is a cool way to meet new people and find out the best local hot spots...from the best sources around-people that actually live in the area. I have also tried new classes this way...the first time I tried Pilates Reformer and Barre Method was when I was on vacation. 3. 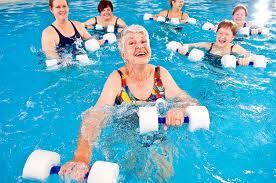 Utilize Your Resort/Hotel Amenities- When I went to Jamaica the resort we stayed at had different fitness classes everyday: water aerobics in the ocean, sunrise yoga. So much fun! Also most hotels have an onsite gym or offer discounts to local gyms near by. Just make sure to ask the front desk what offers or specials they might be offering for their fitness conscious guests. 4. Workout in your room- Even a quick 10 minute workout is better than nothing. So if you are just ready to get your day started and don't have time to do any of the above, then workout in your room. You can use a chair for leg lifts, do push ups, jumping jacks, or even run in place. Jump 12” above max reach each one. I hope this helps you on your next vacation! Working out always makes me feel better and have more energy for the days events. If so, what is your favorite vacation exercise?